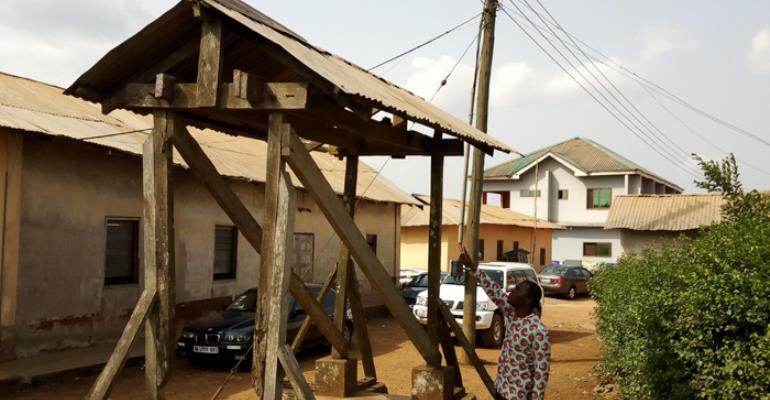 A church bell believed to be 150 years has been taken away by thieves at the Ahwerease – Aburi Presbyterian Church of Ghana, Prince of Peace Congregation in the Akuapem South District of the Eastern Region. The area pastor of the church, Rev. Ephraim Dadwaa, told Daily Guide that the bell was a 'treasure' of the church and could not fathom why it had been carried away. “On March 24, the man in charge of the church bell went to toll the bell for members to come to church, and he realized our bell was not there. A bell which is over 150 years has been taken away by thieves!”, he said. “We wonder how these thieves were able to take the bells away because it is an old bell and very heavy which makes it difficult to be carried away by one person”, he added. He has therefore pleaded with the public to be on the lookout for those who might have stolen the bell.